CONSTRUCTION: The Steel Smith Filter is a heavyweight galvanized steel filter. Made with multiple layers of heavy expanded galvanized steel, the pad is rugged, holding up to the tough filtering jobs. This unique patented media allows for a greater accumulation of dirt and dust particles. The frame is made from heavy galvanized steel, riveted in one corner to hold the pad in place. 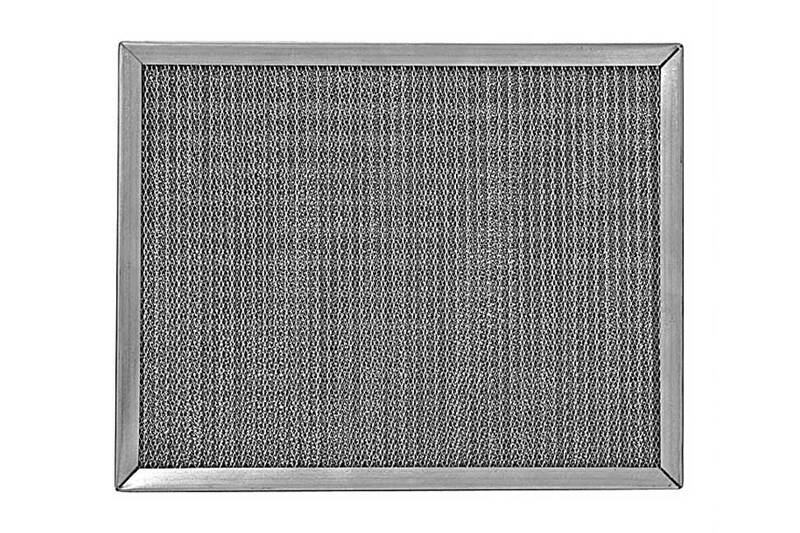 This unique filter is designed for air applications that require extra strength and can withstand strong cleaning solutions needed for cleaning extra heavy dirt/grease loads. The maximum temperature range for the Steel Smith Filter is 450 degrees F. Available in both stock and special sizes. PERFORMANCE: Filters shall retain 240 grams of grease or 300 grams of dust per 400 sq. inches of filter area Resistance when clean is .075 w.g. at 350 F.P.M. air velocity. MATERIAL: Filtering element shall be processed from Galvanized Steel, commercially known as Hot Dip Galvanized, 28 gauge in thickness expanded through .032 feed. Frame shall be made from 24 gauge Hot Dip Galvanized Steel.